This is how a 12 volt 40 watt ready made emergency CFL/TL circuit looks like. 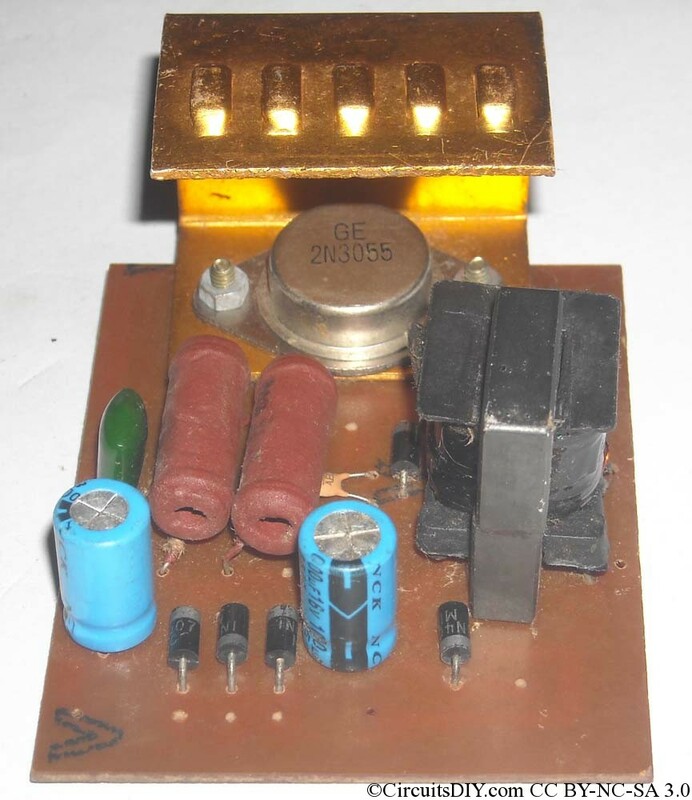 This circuit consists of one power transformer, one 2N3055 transistor wit heat sink, two high watt resistors(brown) in series to apply saturation voltage to the transistor base, 0.1uF ceramic capacitor(green) for soft start and frequency maintaining, one small(yellow) 0.01uF capacitor with a IN4007 diode to protect the transistor from reverse feedback voltage from transformer, two 1000uF capacitors(blue), one for charge current filtering, another for holding emergency system off during charging, the three IN4007 diodes below are for charging rectifier section, and the 4?th one is for giving negative voltage(buffered by a 1000uF capacitor) to the base of transistor for switching it off during charging. The two open connections from the transformer(down of the picture) goes to the terminals of CFL, or direct tube light(without any choke) or to CFL lamp<40W. The 12V & 12V connectors (in the right-up and right-down) goes to 12Volt battery -ve & +ve respectively. The inner three connectors in the right goes to charging transformer’s secondary(output) of 12-0-12 volts section. Though at 40Watt, the circuit uses about 3.5Amps of current, a very low ampere rated switch can be installed here. The switch will be between the base and emitter terminals of the transistor(the two points in the left except the screw points). Thus, the setup complete. The kit costs only Rs. 50~55/- as per current(Oct-2010) market price. Why Using this now, try with BIG White LED’s. Me using 20 White LED’s, Cost each 5 with a 12V Ups battery. its back up in hours, enough light. try it. LED are very energy efficient, but we cannot use it in home lighting, as replacement in loadshading etc. Replacing a 40Watt T/L with that Jumbo LEDs will take around 200-250 LEDs, which will cost a lot w.r.t the cost of this circuit. This Old Method Man, Using this Circuit the Tube will dark its end within few days. LED Cost little bit high, for me the 20 LED cost 100. me them as 2 in Series with a Resistor 220Ohm, so total 10 Units and these connected to 12 V battery. Back up is terrific. is this kit available in electronic shops? 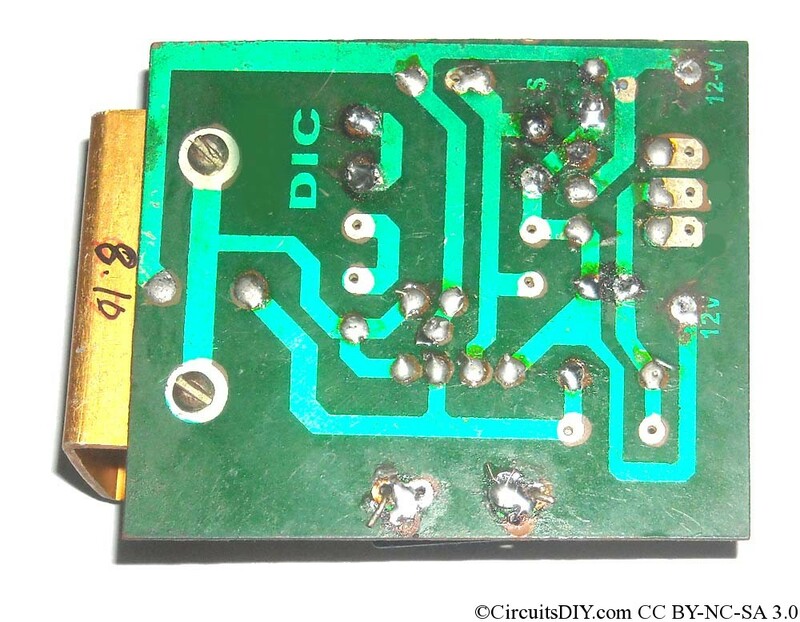 This is available, just take a printout of the circuit (1st pic) and show it to retailer, or otherwise, ask them for 12Volt 40Watt Emergency kit which is by 2N3055 transistor. I couldn’t understand. Can you explain in details? I have some 26 watt CFL lights, Can u pls suggest a driver circuit diagram for the same. The brown resistor is 100E 5Watt. You want to light 26Watt CFL through 12Volt battery. Isn’t it? Then use this one. Please feel free to browse my blog thoroughly and you’ll get most answers to your doubts. I bought a same type of kit. 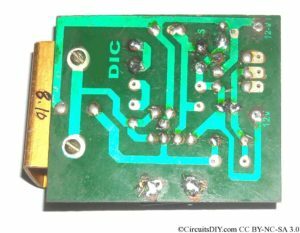 but cannot find out +12v & -12v terminals for battery connections.I saw http://www.electronicecircuits.com/electronic-circuits/fluorescent-tube-light-circuit/ pages also. that circuirt is different. send me your circuit diagram posted by you(picture). There is a big capacitor in the board, find it. Apply 12volts to it’s +ve and -ve terminals. Times are gone for using t/l for Emergency-ckts.leds offer great efficiency as well as better back up. one can go with led strips. What’s the value of T1? what is the value of transformer in the kit? Ask shopkeeper for a 12/40 emergency transformer. Plz, can you explain the working of this especially about gate pulse generation and charging mode? My CFL which is 5watt doesn’t glow brightly, it flickers. Do i need to have a CFL driver circuit or something. Probably the lamp is old-aged and needs to be replaced. Yes, 1 watt white leds produces great illuminance, with excellent battery back up, RS 5 each here in Assam. This circuit is very simple but calls for great calculations and patience during the construction of the transformer. Have been trying for months but not getting satisfactory results.. I want to send you a picture of the 26watt cfl, how should I sent it to you.